We got the house!! Funny how fast everything moves once you find a house, right? We closed on Friday afternoon and today, my awesome Friends, I am so excited to share pictures with you!! We have been working like crazy for the last few days, and my poor body is feeling it ha ha! We had loads of family help this weekend and we are so grateful! Now for the grand tour I finally get to share! Here is our new house!! 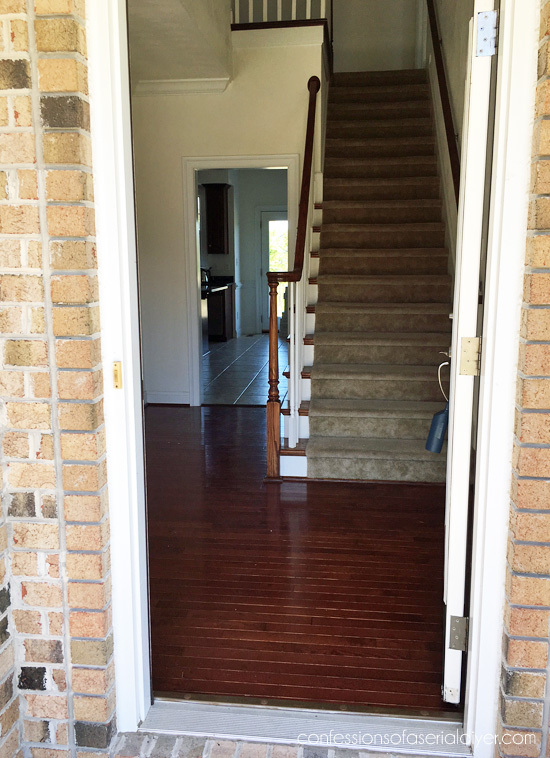 Front porches aren’t very common around here, so I am so excited to have a front porch! 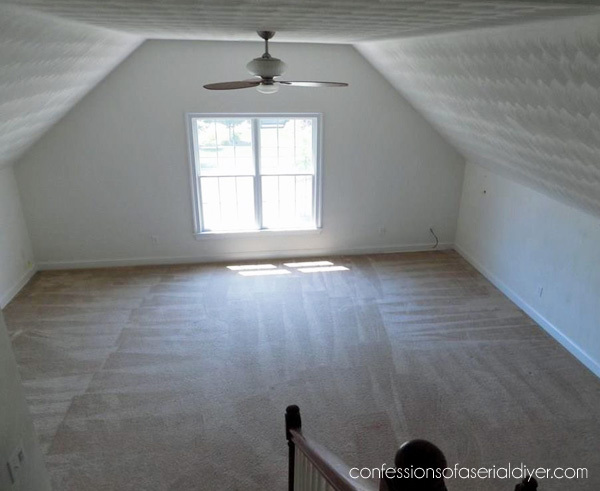 Looking forward to removing that carpet! 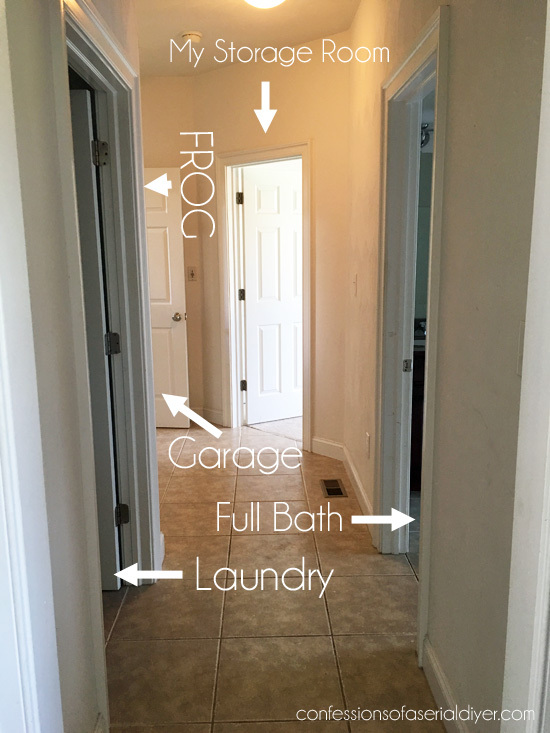 There’s not much of a foyer, but we will come in through the garage anyway so I feel like that would have been wasted square footage for us. I’d love to close it off with French doors eventually. My “office” is just a desk in the living room right now so it will be nice to have a dedicated office space! 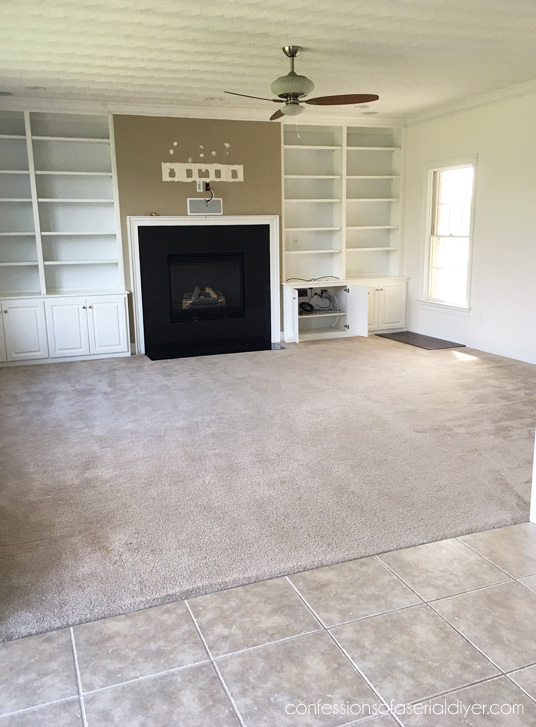 I’m pretty sure paint will be on the agenda for this space real soon. The super dark burgundy cabinets aren’t my style at all. I do love the black counters though. There are a ton of windows in this house and I love all the natural light. You can see that I marked that last door on the right my storage room. I am so thrilled to have that space. It is quite small for a bedroom and it is right across form the garage so this will be a perfect spot to store all of my project pieces so they don’t get so dusty sitting in the garage! 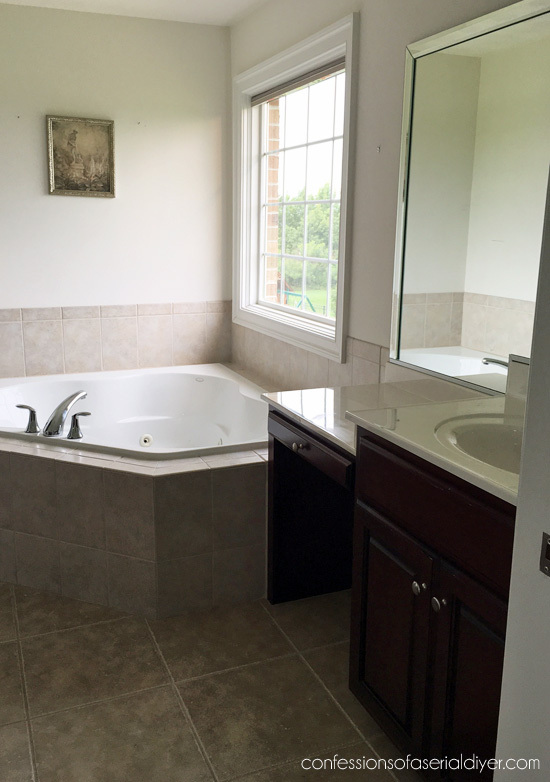 It also has a shower/tub combo. That door leads to a small pool. It looks like swamp water right now and seriously has all stages of frogs in it at the moment, so I’ll wait on pictures for now. This space has officially been named ” The Game Room” by my youngest, so this will be a hangout space for the boys. There are windows on either side that I didn’t quite get in the photo. 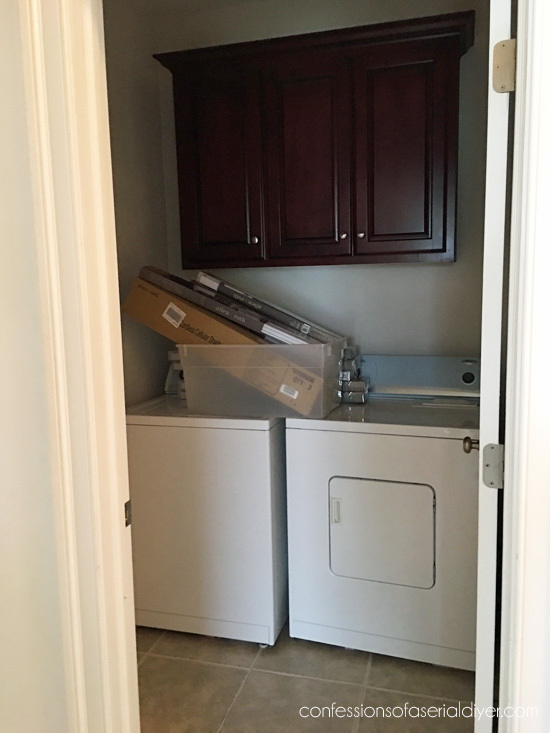 We also have two closets to the right that also didn’t make it into the photo. I know to some who live in more rural areas, this may not be a huge deal, but for us, living in a neighborhood that actually has some green space is a big deal! It is kind of odd that this house is ten years old but looks just like it did when the builder finished it. 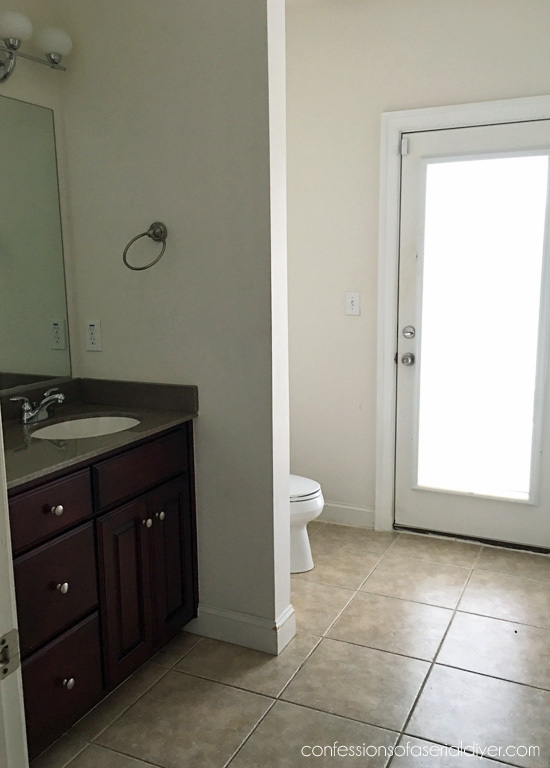 There are no personal touches at all, but it is the perfect blank slate to make our own! We have been busy bees the last few days and I can’t wait to share some of our progress so far! My list of things I wanted done before move-in day has shrunk considerably. I am choosing not to stress over it though! We will be in this house for years to come and things will eventually get done. 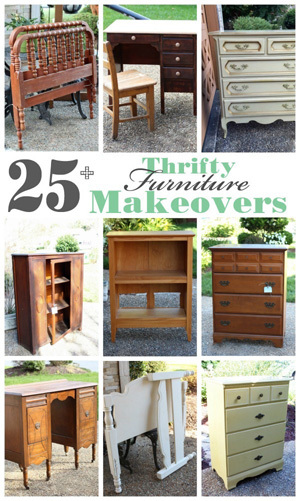 I’ll be back on Thursday sharing what we’ve gotten done so far, and I’ll have another new furniture makeover for ya’ll on Tuesday! Moving day is Friday and is fast approaching, so that’s it for now. I hope ya’ll enjoyed the tour! Your house; soon to be made into a home is gorgeous and Congratulations on your new residence. Congrats Christy!! I am excited to watch as this house evolves into your home! Congratulations on your beautiful new home! You went to the real estate store and came back with a big, beautiful blank canvas to paint your own artistic home. SWEET! I’ll enjoy watching what you create. It’s a beautiful home and oh so bright. 🙂 The green space is wonderful. What a lovely big house. You will soon make it your own. Hope you will be very happy there. Congratulations, Christy! 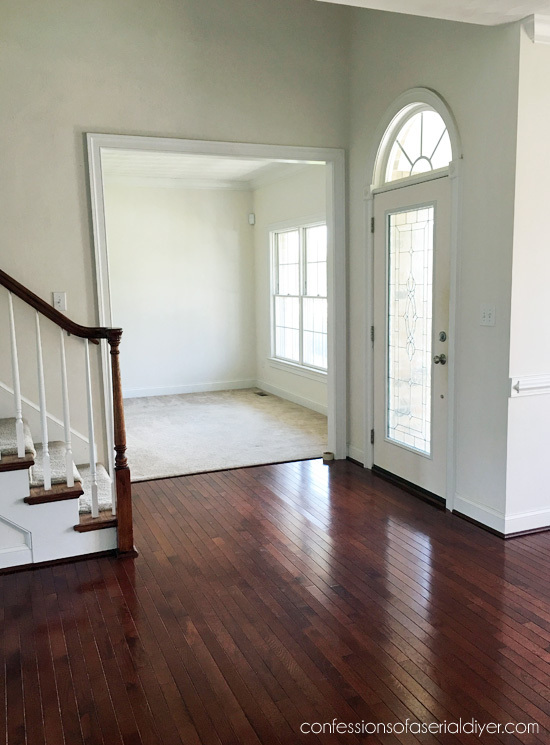 The house is beautiful, and I can’t wait to see what you do with this blank canvas. Congratulations! It will be such fun to read about all your design decisions. It is a beautiful space. Beautiful home! Can’t wait to see what you do to it! Congrats! Congratulations!!! I can’t wait to see what you do with the decor and the yard!! Your other gardens were so beautiful. Christy — What a wonderful house!! I love all the room you have. You are going to have such a great time decorating and I know with your talent, it is going to be fabulous. I am so glad I am along for your journey. I hope you and your family have so many happy and healthy years there and make wonderful memories to last your lifetime. Love the house and can’t wait to see your personal touches in the future. Love the porch and all the windows. My house has 3 porches (one is a screened porch) and lots and lots of windows. I worked inside for so many years without a windows to look out so when we built this house 11 years ago, windows were a must. What a gorgeous home! I can’t wait to see all of the great things you’ll do~congrats on such a beautiful place! It’s lovely, Christy, and I can’t wait to see how you add your own personal touch to it. The boys are going to love having that big yard to play in! CONGRATULATIONS Christy!!! It’s a beautiful home, and in really good shape for a rental. I’m looking forward to all you’re going to do to it and make it gorgeous!! And a PORCH!! There is nothing better than a front porch! Wishing you and your family years of happiness in your new home! Fill it with Much Love and Tons of Laughter!! Lovely house Christy – although I loved your last place too. Can’t wait to see it when you make it your own! Can’t wait to see the posts ahead. I always enjoy your projects! Have a blast. Oh wow….Christy it’s such a nice house! The amount of land in the backyard looks amazing. AND….I did see some stained glass in your front door! You got some of that back:) It looks really nice and bright with that view. It’s so pretty! I am sure you will have a lot of fun decorating this! Congratulations. What a cute house and I really like it. I am sure you will make it a beautiful home. Looking forward to seeing what you do with it. You deserve it, it came to a special person with the right talents to make it pretty. Thanks so much for taking the time to share your pictures. I know you’re extremely busy but I just love seeing them!! Your new house is BEAUTIFUL. From the outside it looks like an older home (the style and architecture), not one that is only 10 years old. I’ll repeat myself, but It is just beautiful! Congratulations and I know you will do your magic on it inside to make it even more beautiful. Congratulations! 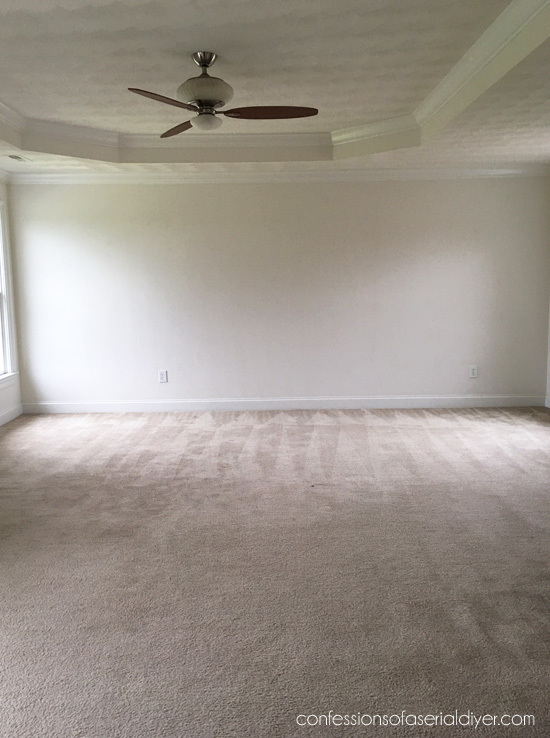 Can’t wait to see what you do with this space! Can’t wait to see how you make this over in your style, Christy! Good luck with the move and all the projects. Looks great- can’t wait to see all you will do to make it your HOME! Thank you for all your projects and how-tos. 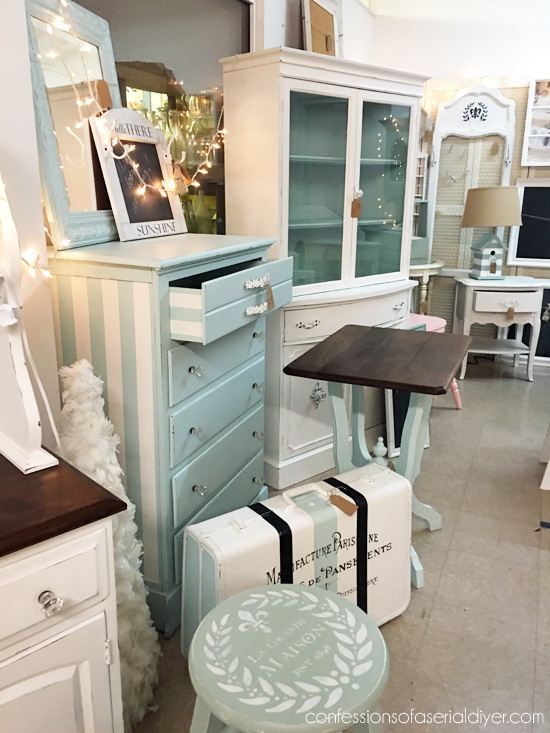 I have learned so much from your blog…and chalk paint which I am addicted to now:) We have a booth here in GA and it is so fun-keeps us busy! I look forward to your blog every day! Congratulations on your house! It’s beautiful and I can’t wait to see what you do with it! Hope moving day goes smoothly for you. Love it! Can’t wait to see all the things you do to personalize it!! So happy for you…a new challenge. You had about “mastered” your other house. Can’t wait to see your slip-covered sectional in the new space…all your new/old furniture in place you have labored over. Really excited for you…watching it evolve with your personality. Hi Christy, First congratulations!!! How exciting! 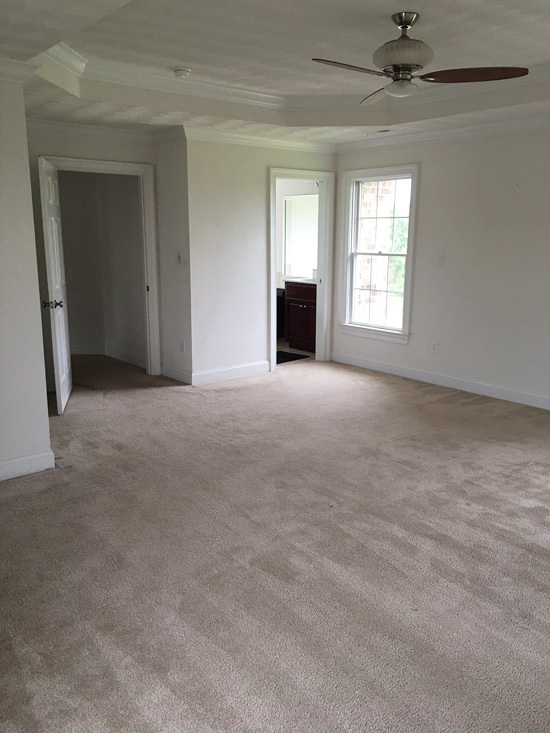 The home looks like it has great bones and I have no doubt you will turn it into a beautiful space for your family. Nice big master, love the front porch, and totally agree, great green space. Look forward to seeing all your projects but don’t stress to do everything fast! Live in it for a while and see how it lives with you. We’ll all be hear to see all the transfiguration in the months ahead. Blessings to you and your family! Nice! So happy for you. Can’t wait to see you work your magic! Congratulations to you and your family on your new home! 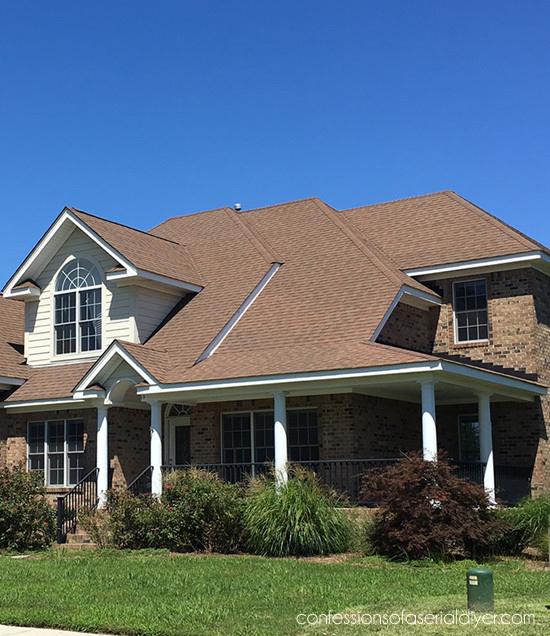 May all of you make new memories as you turn this pretty house into your own while adding your creative touches! Can’t wait to see your creative visions take place! Congratulations! Your new house is gorgeous, I love the back yard all the green spaces. I know you are going to make this house spectacular! Try not to overdo, I know it’s hard, but take care of yourself too. I just love your house!! Looks like a great floor plan and I can’t wait to see how you make it yours, even though I think it’s beautiful now. I understand how you love the “green” outside view. That makes me very happy too. It just lifts my spirits for some reason. I have a relatively small yard but I’ve added trees and bushes, as well as a bird feeder and a bird bath. I’ve finally got all the birds you could want and they provide hours of entertainment for my indoor cats. BTW, I’m trying my hand at updating furniture. I’ve found some great deals on mirrors and they are easy to paint. New ones seem to be really overpriced so this might be of interest to you. Gorgeous new house! Can’t wait to follow along on your adventures to make it a home! Congratulations! Can’t wait to see it after your finishing touches. Such a beautiful house with fabulous amounts of space and wonderful back yard. Love it. I know you can’t wait to start personalizing it. I think the kitchen looks like a great hangout, too! Best wishes for a smooth, easy moving day. Thank you so much, Debbie! I love that the kitchen is in the center of the house, so it will really be the hub of the home. Thank you for the well wishes for a smooth moving day! Congrats! It’s beautiful. Wishing you all the happiness in your new home. 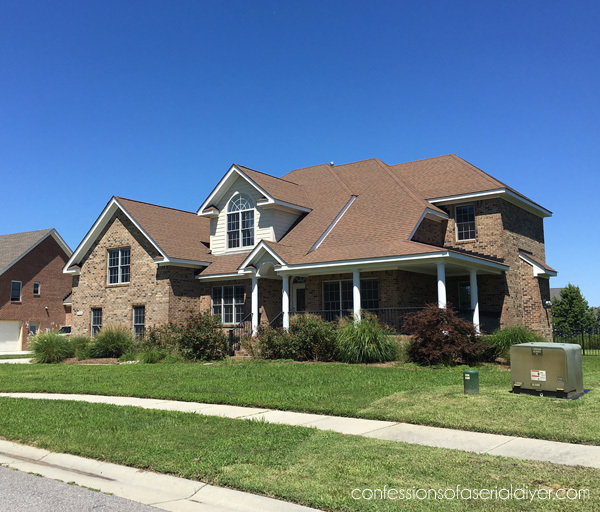 Beautiful home, Christy! How nice to have a front veranda and loads of green space in the back. Love how bright the rooms are, you’re going to love that office! While looking at the front of the house I couldn’t help but wonder how you were going to go all out for Halloween in this house. ha ha Looking forward to seeing how you put your personal touches on this beautiful home. All the best on move-in day! It’s just beautiful. I know that when you finish it will be a showplace. So happy for you!!!! Thank you for the tour of your spacious new house. I can see the potential for a wonderful home. I just moved last year and had to do many renovations. I look forward to seeing your creativity at work in this new space. Happy dreaming. Blessed living. Congratulations Christy! You have a lovely new home! I will be excited to see how you transform it! It’s beautiful! I can’t wait to see your stamp on it! So happy for you! It already is a pretty house, but I am sure once you put your amazing special touches into it, well, it will be gorgeous! Wishing you many happy years in your new home! Oh Christy – I am so jealous! BUT congratulations and thank you for sharing pictures!!! 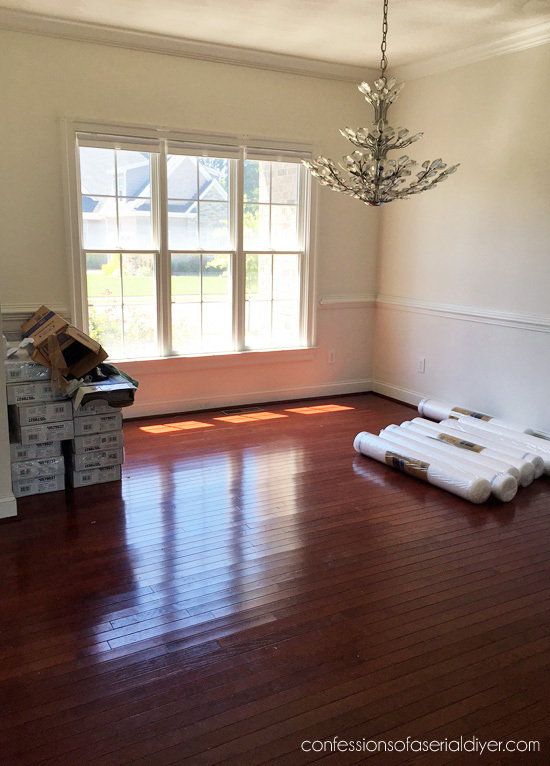 I absolutely can NOT wait to see what you will do to each beautiful room 🙂 Happy (yuk) moving – that part I am not jealous of at all! Lovely home. Reminds me a lot of one I once had. You will have fun decorating! Wow Christy! a completely blank slate! It’ll be so awesome for us to wqtch you work your creative magic on the house 😀 I’m suspecting that there will be no time for March Madness again next year 🙁 …….or maybe you’ll have March Madness: The House Edition! You’re my very favorite DIY’er to be intimidated by! Congratulations on your new house! I’m anxious to see all the changes you will make. The house is stunning! I would love to have a house that big and modern. My house was built in 1950. I’m confident that you will make it even more beautiful with your personal touches. Congrats! Congrats on your new house! It’s a pretty kitchen but can see that it’s not your style. Moving is so much work so hoping it goes smoothly for you. Thank you so much for taking time out of the busyness to give us a tour of your new spaces! Your house is lovely, and I’m already picturing some of the changes you will make. : ) Fun times ahead! Praying all goes well with pre-move work, and that moving day is smooth and injury-free! Congrats on your new home! I’m sure that you’ll add your personal touch to every room very soon. I can’t wait to see your transformations. We moved 3 months ago and were in a small rental space for 1 year before we moved in…it meant moving everything twice. We moved cities to be close to our kids and grandkids. Moving has to be one of those top ten stresses in life. Oh, Christy!! It is beautiful, and yes, I can see you puttering around in that yard. Yay for you all! Very pretty. Congrats! Looking to your posts about what you do with it. Thanks for sharing. Such a FUN tour, Christy! CONGRATS! 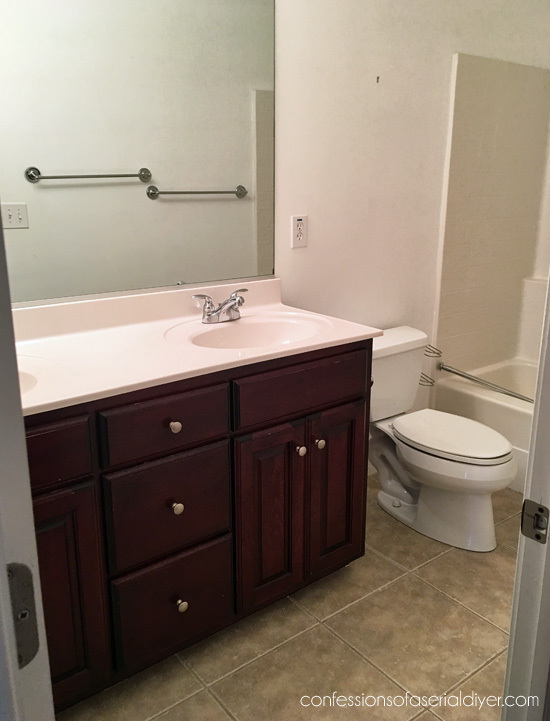 You are going to have such fun turning it into your “home”. 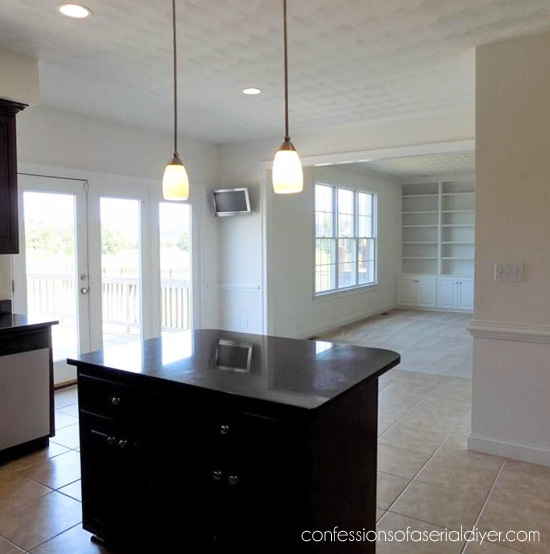 (Love the black counters… what are they made of?) 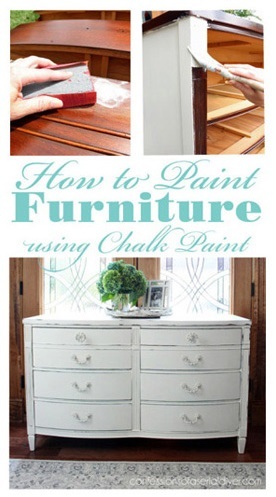 Nice thing that you have cabinet painting under your belt already! 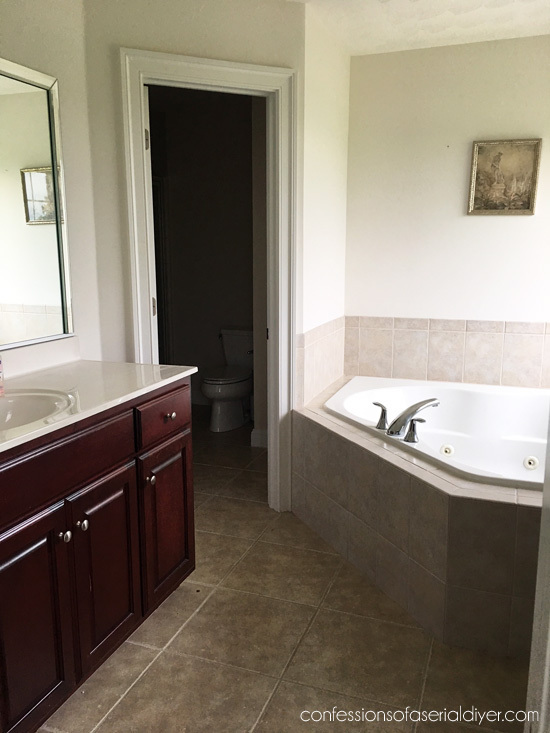 Bathrooms are really nice, too! Double sinks! Yay! Oh Christy, I am so happy for you and your family! What a great house for you to turn into your new home! Love the spaceouness and the awesome back yard! Can’t wait to see what you will do with this! You are so talented! Gorgeous home with all the right bones to make it your own. 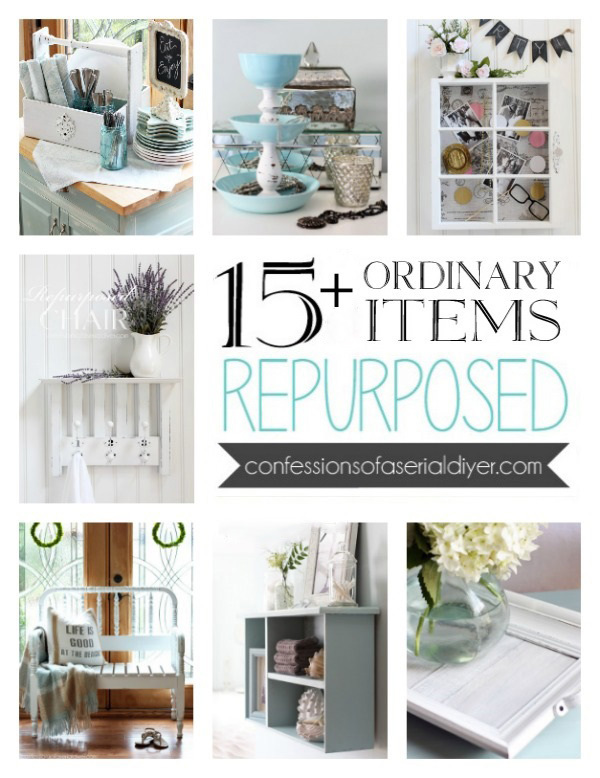 I can’t wait to see all of your creative touches in the new house! I love your new home, and can’t wait to see how you make it your own! Wow, what I see is beautiful, can’t wait to see the “Christy touch” you do to it. How fun, so happy for you. Congratulations. It’s an exciting time for you. Enjoy. This is a very beautiful home and yard. As others have said I can’t wait to see what you do with it. You are SO creative and really know how to beautify even the most forlorn pieces – can you remodel me, lol? Thanks for sharing. Beautiful !!! What made you decide to leave your previous home? From what I could see, it was a lovely home as well. Can’t wait to see your new projects. When you complete your yard, feel free to come and do mine. LOL What town are you located in ? Good luck !!! 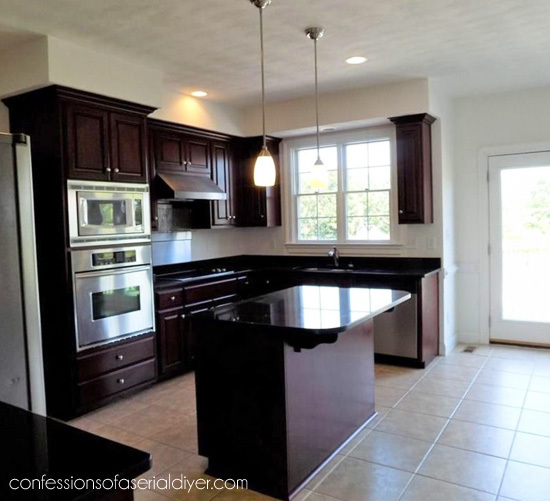 I know light cabinetry is the in thing right now, but I sure love those dark cabinets. They look so rich. So exciting! Lovely home already, can’t wait to see what you add to it. Thanks so much for sharing. What a beautiful home! I too am really excited to see what your creative mind does with your new spaces. Its going to be a fun journey for you and all of us who follow you! Christy, now you have a beautiful new house that we get to enjoy also as you make it your home. I can’t wait to see all of your projects as you work your magic. Christy!! So exciting – congratulations! I can’t wait to see what you do with this beautiful blank slate. It is such a pretty house and I know it will be stunning with your touches! Hi Christy! 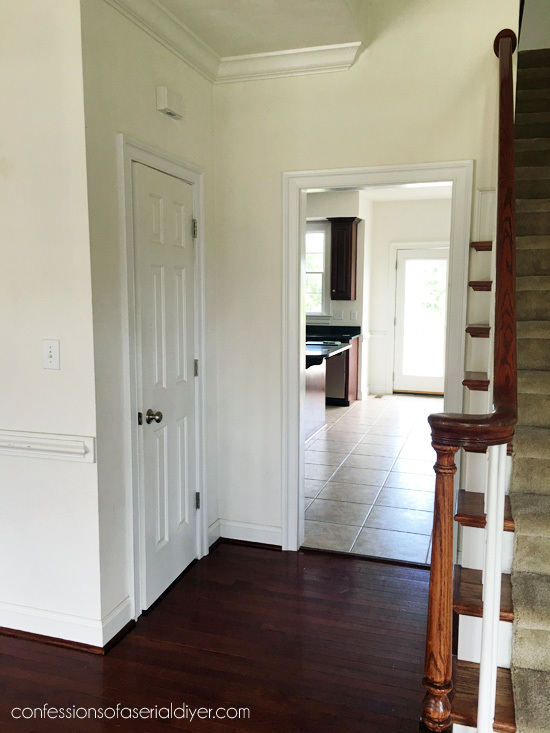 The house is a wonderful blank slate for your creativity! You are one of the few bloggers I follow (time restrictions due to my schedule), and each time I browse your creations, I’m so amazed and inspired! Your step-by-step directions, detailed resources, and easy-to-read information leaves me feeling I can tackle a similar project, too. By the way, my husband is from Florence, SC, and we spent numerous years dating and vacationing with our young family in Little River and North Myrtle Beach (near a small neighborhood with a park just a couple of blocks from the beach). It’s changed so much with all the theaters, golf courses, and shops! Long gone are the days when MB shut down in September after Labor Day- haha! Congrats, again, on your new home. Look forward to seeing all of your renovations! Beautiful house Christy as is,but i’m sure you’ll turn it into a beautiful home.Love all the green space as well,you don’t find a lot of that anymore! Really like your hardwood floors.We put those in at the end of last year,what an improvement from carpet. 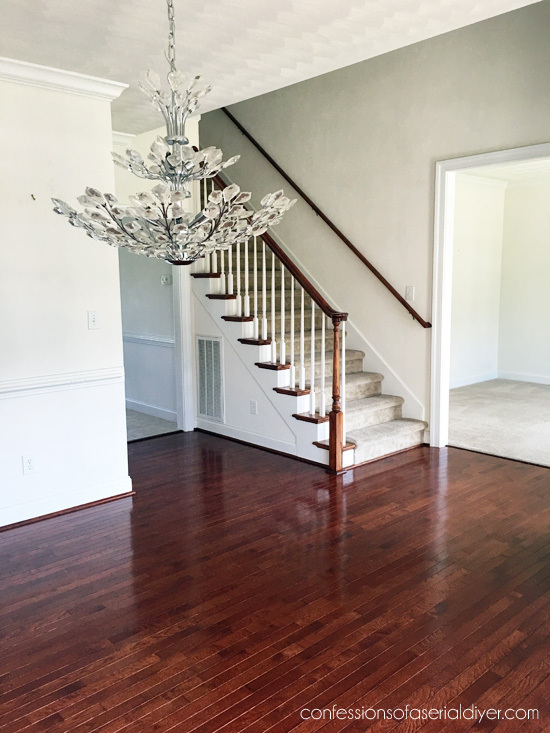 Your new home is beautiful! I know you’re going to do amazing things to it to take it to another level. You’ll love having so much space for your furniture projects and I have a feeling the porch is going to become a home for many amazing pieces. Congratulations and I’ll be eagerly awaiting your posts! Great house!!! !…but didn’t you just get the other one the way you wanted it??? Gotta keep you busy…so you stay out of trouble!!! HA HA you don’t have the hydrangeas anymore!!! !…I would have been rippin those out and takin them with me!!!!! Loads of luck and happiness in your new digs!!! Christy,i don’t know what state you live in,i’m in S.Calif,and my hydrangeas do very well on the west side of the house,where they get the afternoon sun.I tried them other places,and they did ok on the northside,but not as good as they do on the west side.So you may just have to move them around until you find the right place for them. Your house is truly beautiful and I love the green space! Sorry I’m way behind reading blog posts, summertime and house guests have kept me away from my computer. Congratulations (if a bit belated) on your new home! 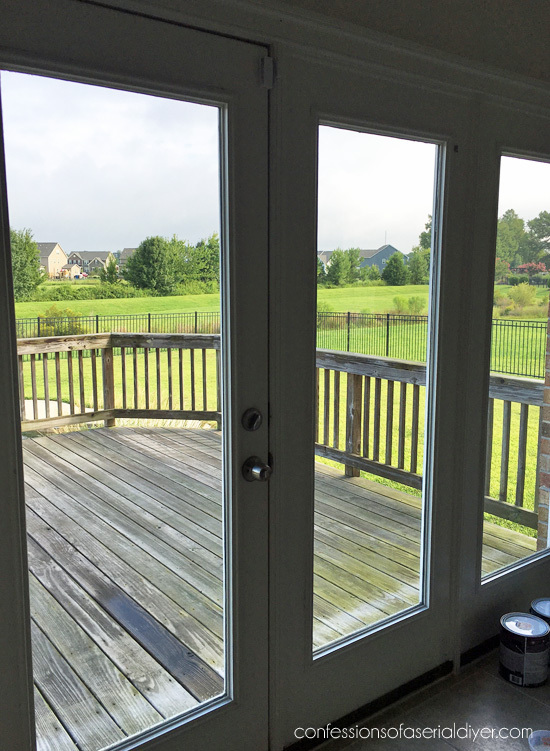 Love the porch…what fun you will have with that. I agree with you about the kitchen cabinets. Can’t wait to see what magic you will perform in there. Wow, how exciting! 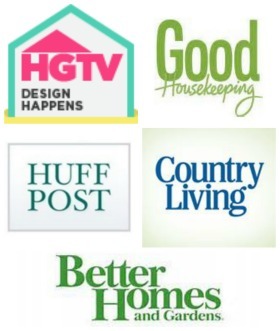 I am a new subscriber and also as a new homeowner (well, a year ago but still surrounded by boxes and dithering on some furniture choices), I look forward to sharing your journey! So pleased for you. Good luck and God bless your family and your new home.